The Healthy Benefits of Beets: You Can't Beat 'Em! A few weeks ago, I decided to dust off the juicer that has been sitting in the back of my pantry for years. It was one of those things, you know, out of sight out of mind. There are positives and negatives to juicing, but in my head, as long as you don’t look at it as replacing your fruit and vegetable servings, you are able to get much more variety and many more nutrients than most people would otherwise. Just look at these beautiful healthy beets! One vegetable that my diet is without is the healthy beet. For most of my life, beets have been one of the few foods that I have had an aversion to. Later in life, I started to occasionally put them on salads, but otherwise they are absent from my meals. Until now. Since I broke out my juicer, most days I’ll find myself experimenting with various combinations of fruits and vegetables, including healthy beets. While it may sound a little suspect to the uninitiated, beet juice is pretty sweet—and when mixed with the right fruits and vegetables—can be a tasty treat. Beets are rich in vitamins A, B1, B2, B6 and C.
Beets are quite high in fiber. According to a 2010 Queen Mary University of London study published in the American Heart Association journal Hypertension, just one glass of beet juice can lower blood pressure in a matter of hours. It may also be a natural solution for preventing future cardiovascular problems. Beets are loaded with natural nitrates, which is believed to be the culprit for the aforementioned blood pressure and cardiovascular benefits. Beets have betanin and vulgaxanthin, both phytonutrients referred to as betalains. They have been shown to have antioxidant, anti-inflammatory and detoxification properties. Do you eat healthy beets? What’s your favorite way to enjoy them? My first interaction with beets was while making my daughter’s baby food. I was blown away by the striking hot magenta color. When something like that occurs in nature, why do we need artificial colors?? Love beets roasted, along with potatoes, turnip, butternut squash… great mix (roast beets on separate pan so the other veggies don’t turn that beautiful color) after they are all cooked, place on a platter together… now if you like brussel sprouts, add them near the end to the potatoes and turnips and you have a great mix of veggies to dress your thanksgiving table easily prepared! I love love LOVE me some beets! And I love the golden ones roasted with just a little sea salt. holy yums. I put them in everything! I even love the pickled ones. I love adding beets to my soup–makes it a pretty pink color! I don’t even mind the red hands either! I just dusted off my juicer too (actually, cleaned the cupboard and felt guilty since it was so expensive, so out it comes) and will be adding lovely beets to my juices. Ginger and beets–yum!! Great reminder to use up that beetroot! I had a jar in my fridge which exploded on Thursday overnight (which I photographed of course! for my blog)… The crock pot recipe is about to be checked out! They are great in a salad! I just love how bright the color is which makes it more appetizing. Beets should be a good addition to your diet recipes. Beets are just so delicious and nutritious that we can add to any recipe we want. 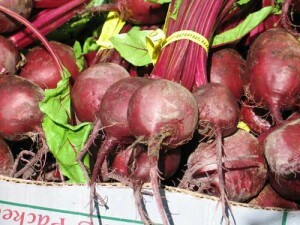 The color of the Beets itself tells that it is more nutritious than we think. I haven’t though of adding Beets to my soup. But I am excited to do so. My cousin made a soup before and she added Beets on it and it gives nice color into it. Beet is one amazing vegetable. It can be used in a lot of ways not just in food but for natural lip tints too. I personally like having it in my potato salads because it adds a lighter weight to it. 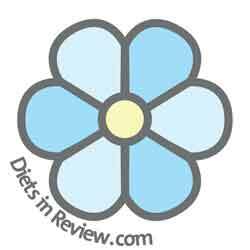 Its nutritional benefits are astounding. I never cared about beets before, but after it was proven that it lowers high blood pressure and other health benefits, I gave it a second look. I put it in salads, or pickled. Tastes great! Beet is nutritionally perfect for our health. My wife made a soup and added beets to it and me and the kids loved it because of the color it makes to the soup. Plus the health benefits it gives. My kids actually loved it when I add beets to our soup! You can never go wrong with beet. It’s delicious and healthy all in one. You can also use it as a natural food coloring without the nasty chemicals from artificial ones. I personally love it on my salad. I hope you could share some great recipes we can make out from beets. Beets is just a wonderful vegetable! I never thought that beets could be this good and healthful! This article is very informative. Thanks for sharing! Beets are actually good. Health-wise it’s good for hypertensive people. I put this in my juice and salads. I love beets for the way it helps in reducing hypertension. I used to ignore beets but not anymore. Thanks for sharing your recipes! Thanks for sharing a couple of recipes for beets. I’m going to take your word for it and try them. I haven’t heard of beet before. Thank you so much for posting such an informative article like this. Wow. Didn’t know beet is delicious. You can’t beeat the feeling of eating beets. They’re amazing! Just now! I am amazed to what a beet can do to our body. The beet is best. The beet is really wonderful to one’s health. Beet? Beet is really good for the body? Wow. Thank you for this great information. This is one of the natural substitute for food color as they have no harmful substance in them. Nothing beats beet right? Specially when it comes to food color this is a natural substitute for it. Wow, I didn’t know beet would be this healthy. Aside from being a natural food color it has many benefits. Thank you for this great information. Your health will always be your top priority. Always eat healthy and live a healthy lifestyle. Thank you for this great information. Never knew beet could be this nutritious. This information is very useful. Beets really do have many beneficial effect aside from being a natural food color. A perfect natural food color and also a healthy alternative for those chemically engineered food colors.